Are you just starting a new website, or re-branding an existing business or blog? No matter which it is, you will need a domain name anyway. A domain name is your identity on the World Wide Web. It makes you stand out from other competing brands. 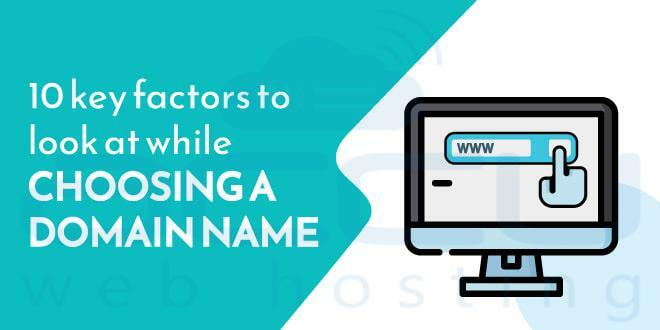 So if you’re ready to take your business, skills, or expertise online, you should put some work (thoughts and considerations) into picking the perfect domain name. Soon, you might be struggling with choosing a suitable domain name for your website. Therefore, keep the names short and memorable. Easy to spell and pronounce. If it makes any sense, use the initial of your brand name considering you have brand name initials. WHO.int for World Health Organization is a clear example. FB.com, which is a shorter form of Facebook.com, is another idea you can take a clue from. Keeping your domain short and predictable will help your audience to share your website via word-of-mouth. And to be confident the domain name is short and predictable, here’s a simple trick. Share it with your close confidants and get their opinion before committing to a purchase. As earlier mentioned, your domain name should be simple. While keeping domain name simple, keep in mind to avoid numbers and hyphens. These two are distractions and are generally misunderstood. Don’t forget that the people who hear about your website won’t know if the number is a numeral/character or whether it should be spelled out. If you make finding your website too much work, searchers will just get discouraged. You might be sending them to your competitor’s sites. When it comes to deciding the domain name length, you want to keep things as short as possible. This passes for wisdom as your domain name becomes reasonably easy to remember. Does that mean a shorter domain name is always better? No! Brevity and specificity are the operational words here. Besides, it’d help to use as fewer words as you can. A good domain name should not be too broad or too narrow. If its length is on the plus size, the wrong kind of searchers may be attracted to your website. If it is too narrow, who knows, you could be extending your line of business someday. As a bonus, ensure your domain name is native to your target market. If your target market is local, consider adding your city or state + a relevant keyword or any other word of choice. E.g., TexasPlumber.com, PhoenixGlassRepair.com, etc. What will you do if your preferred domain name has already been taken? It can be tedious and frustrating to start all over again. Not mentioning, all the alternate domains might have been registered as well. How do you overcome this challenge? It’s simple: try to find relevant synonyms or related words, which would be suitable for your brand. Turn to a thesaurus for a list of synonyms that can act as a suitable replacement for those domains that are not available. On another note, a thesaurus will arm you with “out of the box” thinking. Finding unique domain names is also more convenient, and you could even end up with a better domain name. Choosing a symbolic name can make all the difference. More like a symbolic name will help you promote your brand. How can we then say that a name is symbolic or not? Well, a domain name is symbolic when it’s unique, easy to memorize, pronounceable, and trustworthy. The primary goal should be a domain name that has the potential to support your products or services. Likewise, a symbolic domain name should be self-evident or intuitive. It should give a firm idea of your website right off the bat. Basically, any word might be symbolic. Have you ever thought that “Apple” could be brandable but it is now, right! Does domain extension play a significant role in the domain name creation process? For customers and marketing purposes, a proper domain extension always matters. It’s highly advisable to go with the “.com” domain extension, but why? Because .com is one of the oldest domain extensions and Internet users are generally familiar with this extension. That’s why having a .com domain name .com can help increase customer trust or boost their perception of your brand. To know current users’ attitude toward the .com Top Level Domain (TLD), ICANN carried out a survey of 5,452 customers across the world. According to the study, 91% of individuals rate the “.com”, “.net”, and “org” extensions as their trusted destinations on the Internet. What if the “.com” Top Level Domain (TLD) of your preferred domain name has already been taken? First, keep calm. 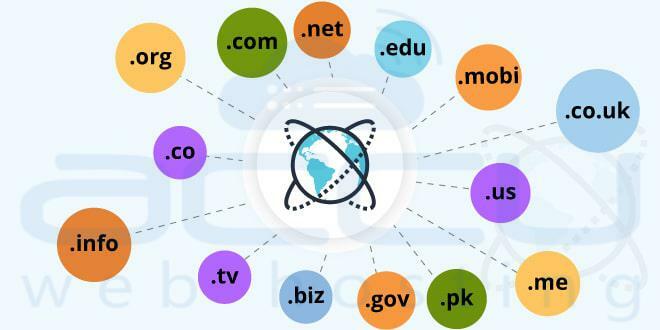 There are other popular domain extensions that you can explore. On the plus side, these domains (“.net”, “.org”, “.co”, “.edu”, “.biz”, “.review”, “.photography”, “.biz”, “.me”, “.ly”, etc.) are as good for branding as the .com TLD. Better yet, their acceptability is constantly increasing. Domain name preference study conducted by Domain Name Association in 10 countries had 5,000 complete responses. In that survey, a clear majority of people surveyed believe there should be more domain extension options. In countries with mature Internet markets (the US, the UK, and Australia), between 50% and 60% said there should be more options. For Internet users in the fast-developing markets (China and India), the number is between 66% and 75%. Just so you know, domain name sells quickly. Urgency is required when registering a domain name. So, purchase your domain name as soon as possible — today, if possible. Registering a domain is easy. First, create an account with a domain registrar (if you don’t have one yet). Once your account is up, you can use your debit card (or any other payment option available) to pay and complete the process. And that’s all there is to it. 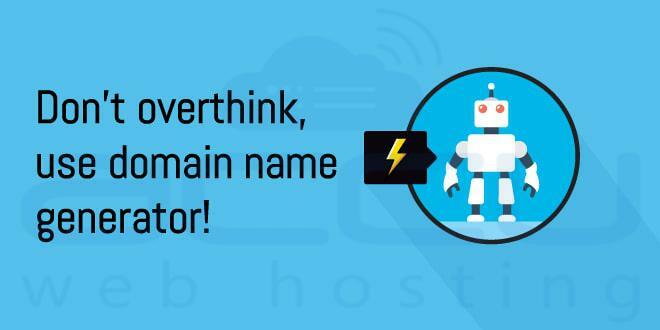 If you are facing any difficulty related to picking your domain quickly, use AccuWebHosting to get suggestions of alternate domain names. Two entries ago, I mentioned a couple alternative domain extensions. Not satisfied? Will you rather have that domain name by all means? The first step is to check and be sure that the domain name is not in use (i.e., not connected to an active hosting). It is common practice for most people to buy a domain name and after that, sell it off. A domain registrar will most likely tell you if a domain is available for sale. If you still can’t find any contact information of the domain owner, then there is a slim chance that it might be available on domain flipping markets or auction-based selling websites such as Afternic or Sedo, etc. Engaging the brain power sometimes can be…(let’s just say) unproductive. This is where you get to enlist the help of a systematic domain name generator. There are many of them online. You only need to type keywords or phrases related to your business, and then it will spit out a list of names. If you find yourself questioning the logic behind those generated domains, it is normal. Believe me, it is. But you do realize you are not under compulsion to choose any of those names. It still makes sense, though, since one way or the other, those domain names must have expanded your thinking capacity and get your creative juices on. Hope you found this guide helpful! Please share if you think that we have missed out any important key factor in the comments section below! Wow! An amazing article about the “Choosing a right domain” for our projects. Worth sharing this information in my social network. Of course one more point to note or to add in this article is, “Do not use repetitive words altogether”. Like, liveexample .com (Two times the letter ‘e’ occurs).